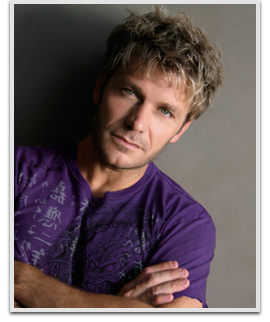 A man of many hats, Vic Mignogna is best known to audiences for his prolific voice over work in the anime industry and his work with Japanese anime characters and video games, the most notable being Edward Elric from the Fullmetal Alchemist series. While working in video production, Mignogna got involved in voice acting in anime at ADV Films. His first role was as Vega in the video game Street Fighter II V. The role eventually lead to being noticed by Funimation where he landed the voice role of Broly in the Dragon Ball Z films. In 2007, the American Anime Awards presented Mignogna with an award for Best Actor for his work on Fullmetal Alchemist. Mignogna can also be heard as Tamaki Suoh in Ouran High School Host Club, Fai D. Flowrightin Tsubasa: Reservoir Chronicle, Dark Mousy in D.N.Angel, and Zero and Ichiru Kiryu in Vampire Knight. In video games, he is the voice of E-123 Omega in the Sonic the Hedgehog series and Junpei Iori from Shin Megami Tensei: Persona 3. He was involved in music production in the Houston area, and several Star Trek fan productions. After moving to Los Angeles, he continues to be involved in anime shows such as Bleach and Naruto: Shippuden. Not just one of the industry’s most recognizable voices, Mignogna has also produced hundreds of jingles for commercials and has sung the U.S. national anthem at several Houston Astros baseball games. As a musician, Mignogna has released several albums, some of which feature English cover versions of anime songs from shows including One Piece and the Dragon Ball series. He also handled some of the ADR direction for the English dub of Claymore, in which he voices Rigaldo. Mignogna has been involved with several fan productions throughout his career, most notably the highly successful web series Star Trek Continues as Captain Kirk. A direct continuation of the original series, Mignogna not only stars in the series but has also directed several episodes. Mignogna can next be heard in the upcoming video game Naruto Shippuden: Ultimate Ninja Storm 4 and can be seen in the TV movie production Humber City: The Rising Tide.